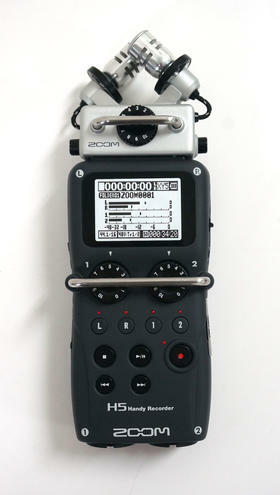 I've stumbled across a leak from B&H photo detailing a new ZOOM handy recorder; H5. Will be interesting to see how this works with the current Tascam DR-60D and DR-100mkII recorders, however I do know the H4N does have a number of problems, maybe it was time for an upgrade.. It is a sigh of relief for videographers, bands, journos who don't need the 6 channel power of the H6 but would like the option of external XLR/TRS microphone/device inputs. Older PostA romantic video experience with Manfrotto gear (How to choose the right tripod and head).